Today, a day after attending the president’s State of the Union address, Secretary Bryson had the opportunity to tour Paramount Sleep, a family-owned mattress factory, and meet with local business leaders in Norfolk, Virginia to talk about manufacturing and how the Commerce Department can help businesses build products here and sell them everywhere. Like many other businesses across the country, Paramount Sleep was hit by the recent recession–but they pressed on. Today, they manufacture high-end products using about 90% U.S. content. They have been an anchor in the community for three generations. The question now is: How do we keep moving forward to build an economy that creates jobs and supports a strong middle class–both in the short and long term? As the president said last night, “our blueprint begins with American manufacturing.” Today, over 11 million Americans have manufacturing jobs. Over the last two years, manufacturing has added more than 330,000 jobs, the strongest jump since the 1990s. Commerce is building on that momentum by focusing its efforts specifically on advanced manufacturing, recently creating a national office to coordinate government-wide efforts with private sector and university partners. And companies like Paramount are poised to become powerhouses of American manufacturing. 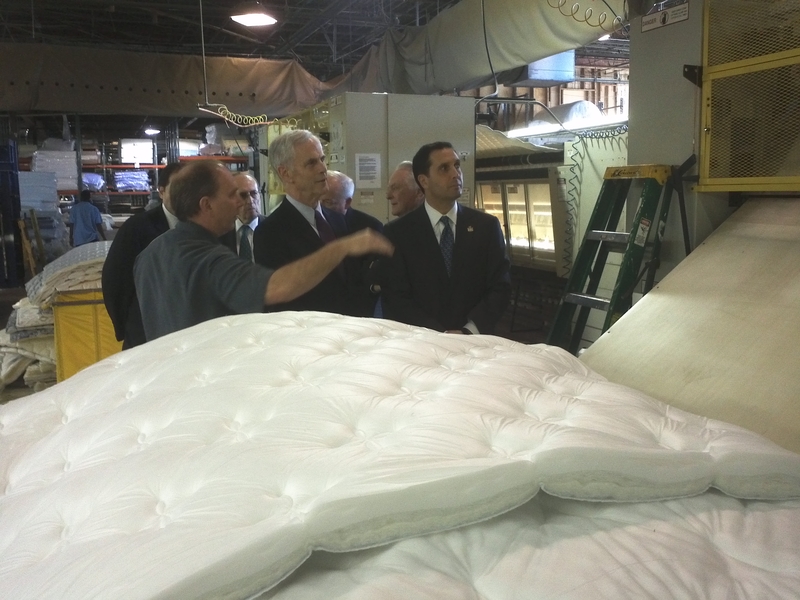 Paramount mattresses are Made in America, using domestic suppliers almost exclusively. Recently, they have been working with our Commercial Service officers to sell their products in China. Commerce is more focused than ever on helping business owners finance their export activities, build relationships abroad and reduce unfair trade barriers to selling their products. This includes a new Trade Enforcement Unit that will investigate unfair practices, strengthen IP protections and create a more level playing field for American businesses. Commerce is dedicated to helping American businesses build on their double-digit percentage growth in exports these past two years to reach the President’s goal of doubling U.S. exports by 2014. This is crucial, because 95 percent of the world’s customers live outside our borders, but only 1 percent of our businesses export.